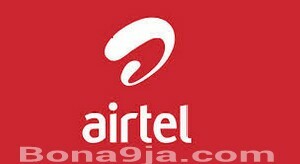 Get airtel 3gb at N1000 for blackberry and 3gb at N1500 for Android and other non BB device. About 5months ago, Airtel SMS me about their BB subscription plan which goes for 3gb @ N1400. Yesterday, I got a message from them which alerting me that they've reduced their price of data and also increase the amount of Data which means you can now get. 3gb @ N1000 for bb subscription. And 2gb @ N1500 for other devices. This is nice , but people don't trust them anymore... Since they've bent their neck on usingDamaged calculator to calculate their own data deduction. If you so much love airtel in such a way that u can't help but dash them the money, Follow this procedures to subscribe. I know this plan is really mouthwatering, but would you abandon Glo bis which goes for 3gb @N1000 for this?